SpaceX early this morning once again managed to successfully land one of its Falcon 9 reusable rockets on a barge floating in the middle of the ocean. This morning’s landing is arguably more impressive than the first as even SpaceX didn’t really think it would be a success. Today’s mission saw the Falcon 9 propel a Japanese communications satellite, JCSAT-14, into what’s called a Geosynchronous Transfer Orbit. As explained on the live webcast, the Falcon 9 was traveling twice as fast compared to a Low Earth Orbit mission even after its re-entry burn. That means the rocket has to deal with four times as much energy and a whopping eight times as much heat compared to a “standard” mission yet surprisingly enough, the Falcon 9 landed upright without incident. SpaceX made history last month, nailing its first ocean landing following several failed attempts. 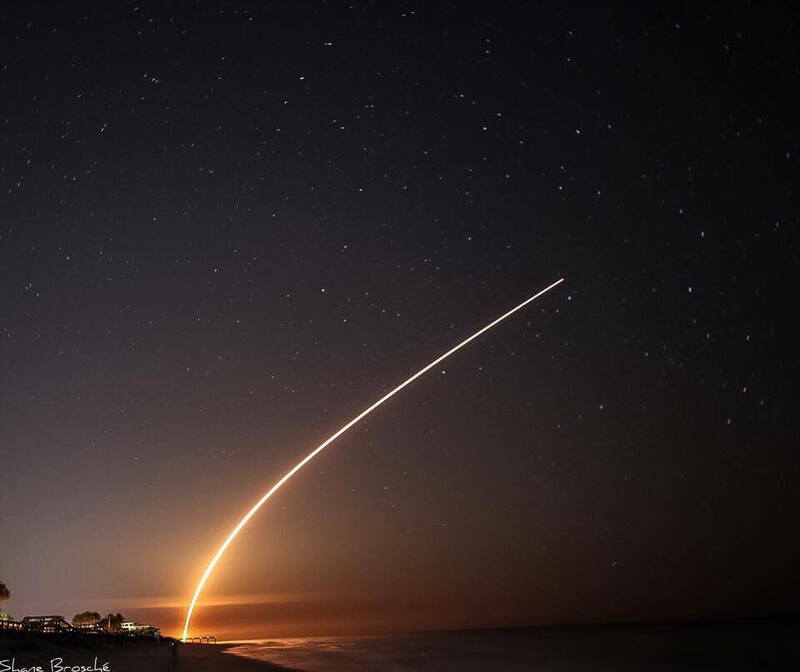 In December, the private space company successfully landed its reusable rocket for the first time ever albeit on land, a much easier target to hit. Blue Origin, the rival aerospace company owned by Amazon chief Jeff Bezos, beat SpaceX to the punch by roughly a month. It’s worth noting that Blue Origin’s rocket was a smaller stage that traveled slower but it’s impressive nevertheless. SpaceX late last month accelerated its plans to send a spacecraft to Mars, aiming to do so as early as 2018. It won’t be a manned mission (that’s still many years away) but it’ll be an important step in doing so.